Many restaurants do not have a website at all but instead rely on their Facebook engagement as their point of online engagement and their primary online presence for their customers. Others have a website that is very static, having basic business details such as location, hours and menu information. If Facebook is your chief means of restaurant marketing and digital engagement; such as posting information or updates on your menu, specials or promotions; very few people see that update on your restaurant’s Facebook page. 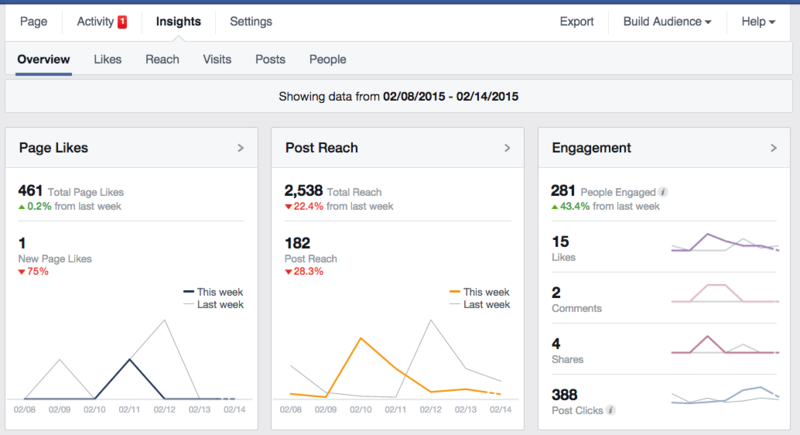 Facebook’s organic reach has drastically declined, from ~16% a year ago, to less than 2% today. A restaurant owner trying to increase engagement with their customers must face a discouraging reality; low organic reach means fewer people see your posts, which results in low engagement. The opposite of what you were aiming to achieve. It is frustrating, especially if you have invested time and money building your restaurant’s marketing primarily around your Facebook page audience. Facebook wants you to “pay to play”. Facebook is a business with a commitment to its shareholders and Facebook advertising is its revenue model. You cannot blame Facebook for the gradual decline in organic reach since selling ads is the core of their business model. So what do you do? Boosts your posts. 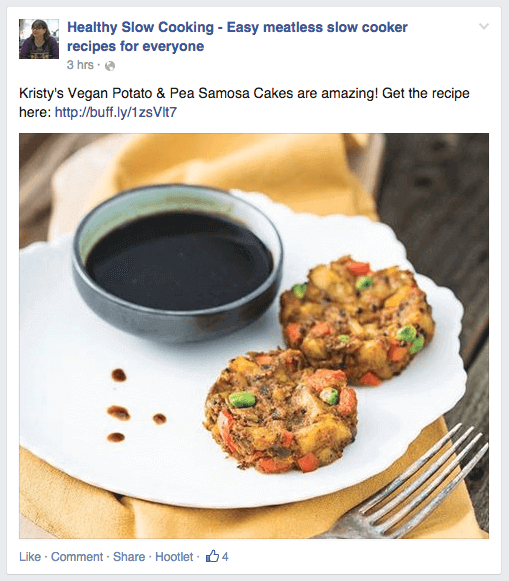 Boosting posts can be done directly from the post itself or using the advanced power editor tool that lets you target audiences and create Facebook ad campaigns. The drawback is boosting posts costs money. Now that you understand the Facebook engagement, there is a way to increase your return on investment (ROI) using the Facebook platform; develop and use a smart engagement plan. But, I want to show you 7 ways you can increase your restaurant’s free organic reach on Facebook. Give away stuff to keep your customers engaged. Your restaurant marketing plan should include giveaways such as coupons or discounts. Your fans will appreciate the value of the offer and that will increase their Facebook engagement with your restaurant’s page. People like to believe they are important to you and giving them gifts is a great way to prove their importance. In addition to giveaways, another form of offering value is sharing content such as recipes, tips, and tricks that are of interest to your fans. How to make chicken noodle soup in less than 20 mins? What women really want on Valentine’s Day? 2014-2015 Super Bowl is tomorrow… Place your food order today. Tomorrow is Valentines Day…order your sweetie a heart-shaped pizza…Only $9.99 for a cheese..but you can add extra Ingre! Place your order today. Sunday fun day…start your morning off with a delicious breakfast. Mix up your value posts with sales posts using a 3:1 ratio; 3 value posts per 1 sales post. Limit your facebook posts to 2 or 3 a day so you don’t overwhelm and annoy your customers. 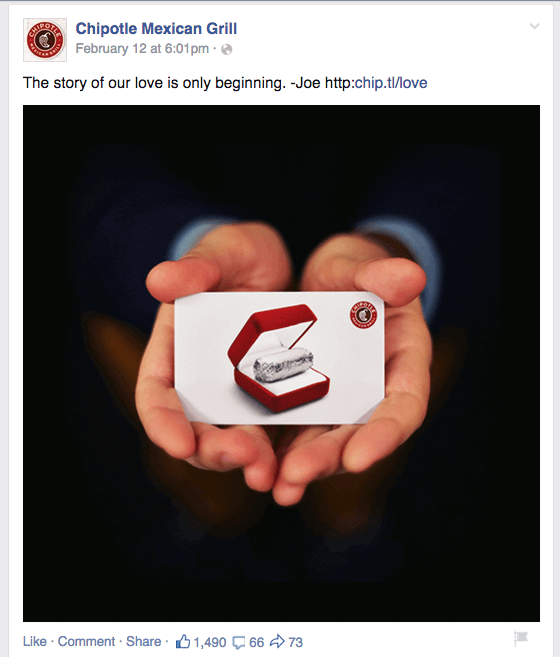 Questions are a great way to increase Facebook engagement with your customers and fans. It is the easiest way, and one of the best methods, to get people to respond to your posts. 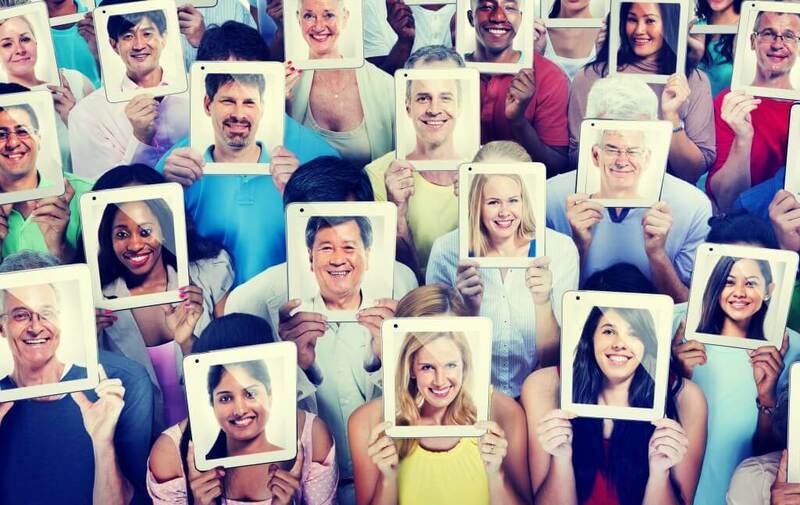 Your customers and fans will feel a sense of belonging and want to be involved in the conversation. What’s your favorite dish? What’s your favorite, Chimichanga or Burritos? What type of drink do you prefer with your meal: beer, margarita or wine? How long do you marinate your chicken? What makes you really happy to tip your wait server a bit extra? Fill in the blank questions such as; if I could live anywhere, I would live in ____________ because I love the ____________. The key is to ask relevant questions that connect with your customers and fans that encourage them to share and participate in a conversation. Knowing your customers and fans helps to ask the kind of questions that will get them engaged. Always use high-resolution images when showing off food or your restaurant’s interior or exterior. Using high-resolution images is important from a branding perspective as well. Consider hiring a professional photographer with experience in food photography. However, images of events or customer images don’t have to be high quality. Encourage your customers and fans to share pictures that drive engagement. Acknowledge and thank them when they share publicly. Another option of getting quality pictures for using in your posts is using online photo services such as Canva.com, PicMonkey.com or DollarPhotoClub.com. You can create or use images relatively quickly and for a nominal cost ($1) for each image. There is also an option of using images from free image sources such as Flickr, Creative commons license and free stock images. We do not recommend it due to the time and steps required to properly comply with their image usage policies. Finally, a word of caution to NOT use images from google image search because it is most likely copyrighted. Though it is the easiest to find any image on google image search and very tempting to use, it could result in potential legal trouble for copyright violation. Stay away from it. Facebook is, slowly but surely, becoming a video platform. A short video will earn more Facebook engagement. If a picture is worth a thousand words, a video is worth a lot since it tells a story very effectively. Making video might seem daunting, best left for professional videographers. With the latest smartphones getting higher resolution cameras and graphics capabilities, the output quality has drastically improved. This has opened the doors for consumers to create and post videos easily on facebook, youtube, and other video platforms. 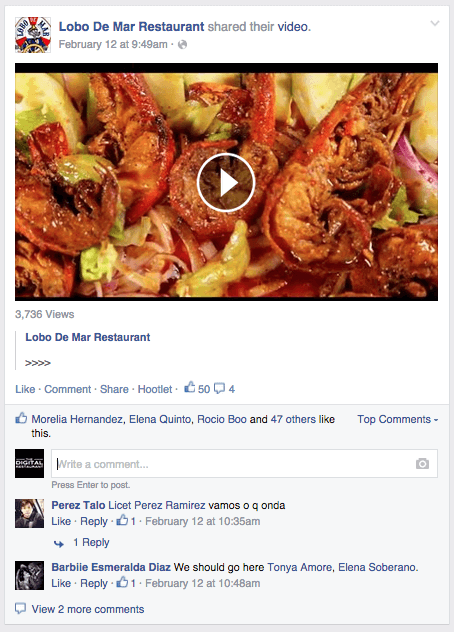 Here are some practical tips on how to create and post a video on facebook. Keep the video short (3-5 minutes). Video shot with a smartphone has great video quality. Use a tripod to stabilize the video camera or smartphone. Do a little research and learn some basics about using light in videos. Taking advantage of natural light where possible eliminates the need for a lighting setup. A welcome message from chef or customer testimonials are both great ideas for a video. Share short videos from events such as birthday parties or special occasions. Video can be used in a similar fashion to photos for showing off your restaurant or the food you serve. If making and editing the video still seems daunting, consider hiring a professional videographer. 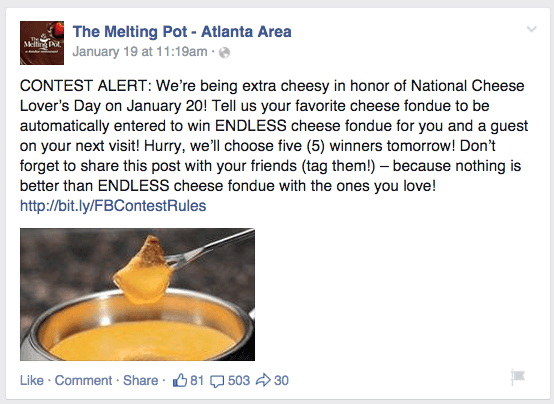 Contests are another great way to increase Facebook engagement. Contests reward loyal fans and create excitement. Users will visit your Facebook page frequently to see if they won or if you are running a new contest. Setting up and running a contest is simple; choose a prize, build your contest page, promote your contest, monitor your contest and follow up after the contest. Be sure to check Facebook’s rules for compliance. Doing an audit of the post’s performance reveals what kind of posts are getting more traffic and engagement with customers. 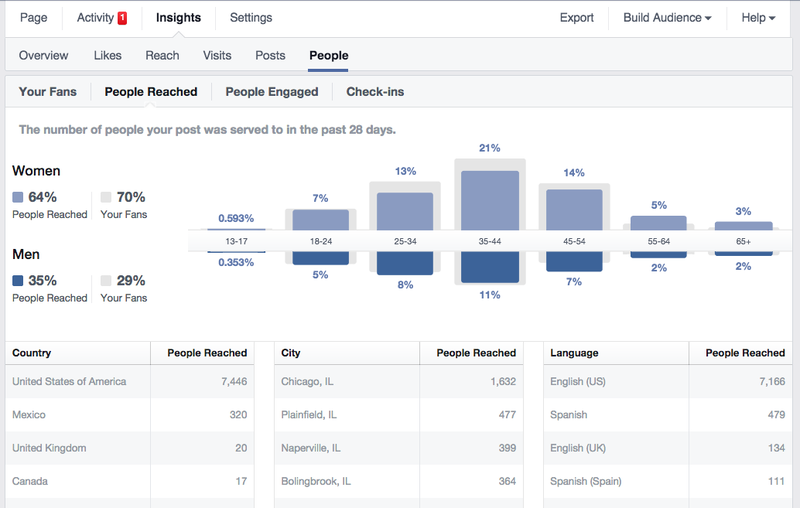 The analytics data can be found under the “Insights” link on your Facebook page. Posts with high traffic rates are the ones you want to include in your restaurant’s social media plan. The “Engagement” measure in the tabular data gives insight on clicks, likes, comments and shares for each of your posts. You can then determine what type of posts you should be doing more and which ones you should be doing less of. The People insights provide valuable information on the segment of people that are engaging with you on your facebook content. This is a good insight to validate your target market segment for your restaurant as well. Drive traffic to your website from your Facebook page and begin building an email list. Your website is part of your business landscape while Facebook, and the data on Facebook, remains part of Facebook. You do not, technically, own the data you host on Facebook and your Facebook page can be closed- sometimes for no reason. The point is; even though Facebook is one of the greatest social media platforms and your business can leverage it today, you want to use Facebook to drive customers to your website where you control the policies. 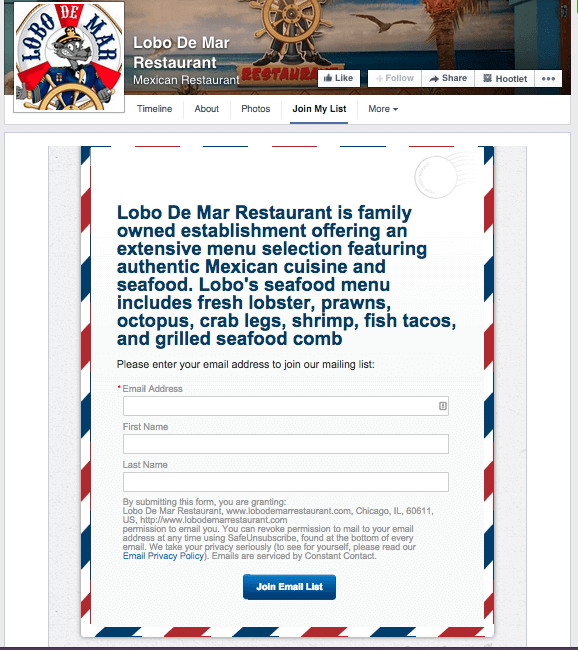 Add email signup form to your facebook page to make it convenient for your fans to join your list. Encourage fans to visit your website by including, “check out the website for details,” or, “sign up for our email list to be notified of updates and receive special deals.” Your strategy is to drive traffic and engagement to your website and the email list. Every restaurant is different. A restaurant marketing plan or restaurant social media plan that works for you may not work for everyone. However, each of these steps will help you build a framework to increase your fans engagement and conversions with your restaurant facebook page. The key to success in engaging with your fans on facebook is implementing each of these steps, testing it to measure its effectiveness, and making adjustments to increase engagement with customers and fans over time. 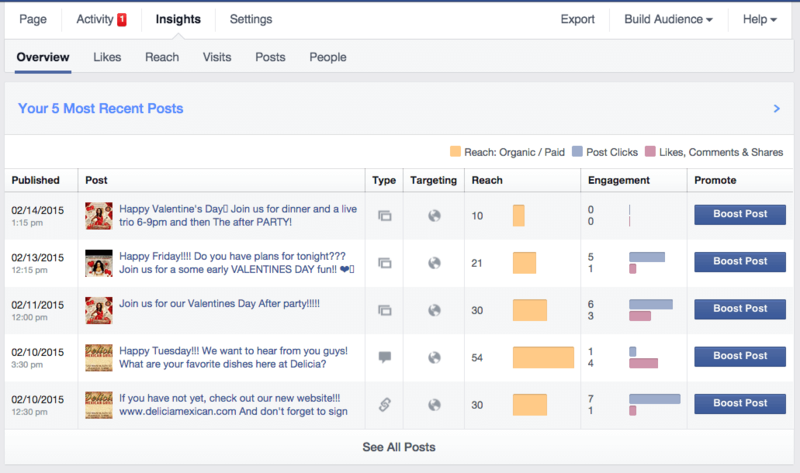 How is your current engagement level on your Facebook page? What steps have you taken that are working for you? Tell us what you think works best in the comments section below. 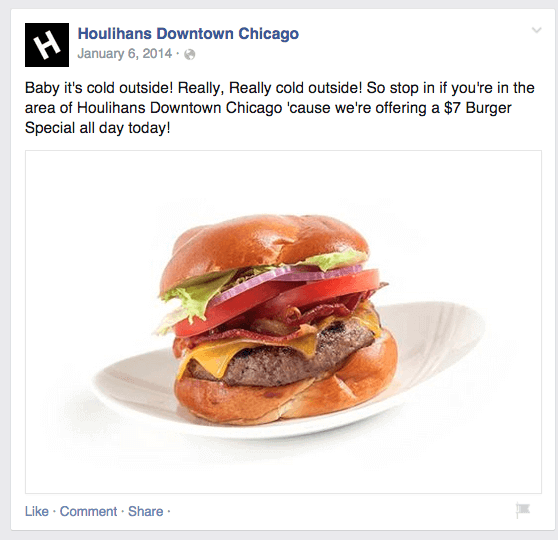 ⟵Is Groupon Marketing The Right Strategy For Your Restaurant?